One day, you come home from work and sit down at the table for your weekly dinner with your family. Throughout the meal, you chat about your day and start making plans for the weekend. Suddenly, your kids look at you, their lips quivering and their eyes suddenly ten times larger. "Can we get a dog?" They ask, staring at you expectantly. You've been expecting - maybe even preparing - for this moment. After a moment of hesitation to build suspense, you say "yes" and your answer is met with high pitched shrieks of glee. It's time to get a puppy! With current legislation battles all over the nation, going to a reputable pet store or breeder might not be possible for much longer. In fact, if you live in California, it's not possible today. That means that your opportunity to choose the perfect pet has flown out the window. At this point, your only choice is to drive down to the neighborhood humane society and pick one out from a selection of dogs that are ready to be adopted. While this certainly isn't a bad option - it's certainly the best route as long as you're able to find one that meshes well with your lifestyle - it's not always the right option for everyone. Adding a new furry (or feathery or scaley) friend to the family is a big decision. It's crucial for the household to decide whether they have the capability and resources to care for a new pet. It also requires extensive research on the type of pet and the individual animal itself to ensure the relationship is a perfect fit. what about the backyard breeders (puppy mills)? While there are no doubt a number of bad breeders (or puppy mills) out there that need to be taken down, not every breeder is an inhumane puppy mill who puts profit over an animal's welfare. Believe it or not, there is a significant difference between professional and backyard breeders. Katie Sabatino, a representative for The Center for Canine Welfare, explains that "banning the commercial sale of dogs and puppies to address breeders that are bad actors is not the solution, as it puts responsible breeders who are committed to implementing strong animal welfare programs at risk." Instead, consumers should work to ensure the pets they purchase are coming from those who uphold higher standards of animal welfare and stay away from anyone who do not adhere to high-quality care and transparency in how they operate. It's important to differentiate the bad breeders from the good. A new standards program called Canine Care Certified has recently addressed this difference. These standards were developed by a group of dedicated breeders who partnered with Purdue University to research and design the science-based Standards of Care. "Consumers wishing to purchase a puppy or dog that has been raised to the rigorous standards of the Canine Care Certified program should ask the retail outlet or breeder for proof of current certification. When purchasing a dog at a retail pet store or other commercial location, ask the retailer whether they purchase animals raised by Canine Care Certified breeders and ask to see a copy of certification paperwork for their breeders. 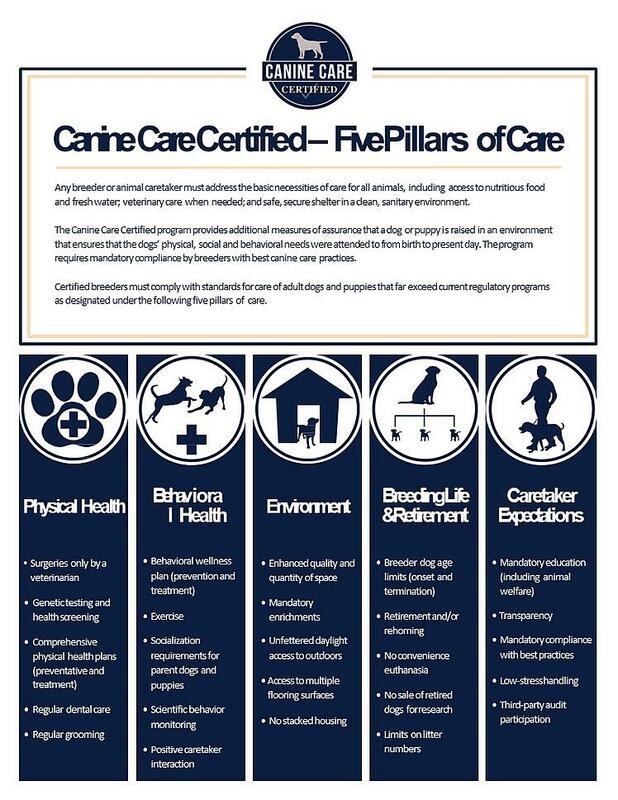 Consumers also should look for the Canine Care Certified seal on each puppy’s pedigree papers." Sabotino says that certified breeders have even reported improved litter sizes and weights, behavioral changes, processes and tracking, and even better preparation for retirement and rehoming. 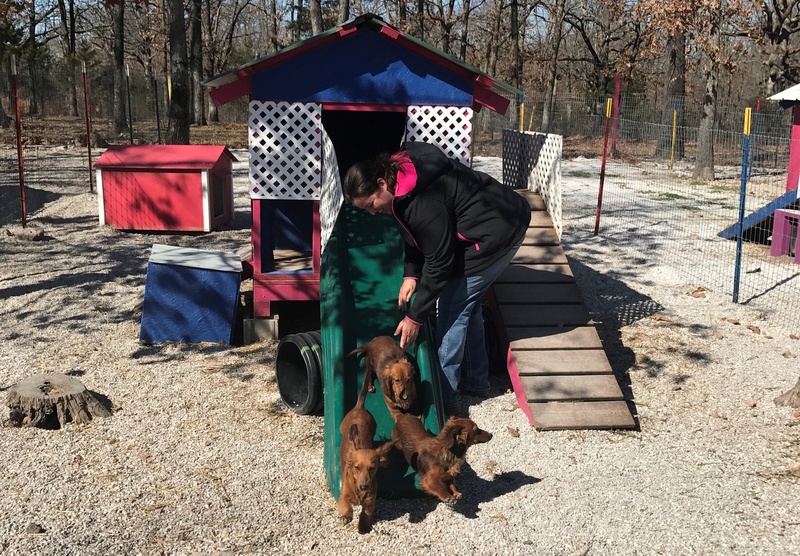 According to the website, this certification is "the only program that not only incorporates measures of the physical health of dogs and puppies raised by breeders, but also strongly emphasizes their behavioral well-being." 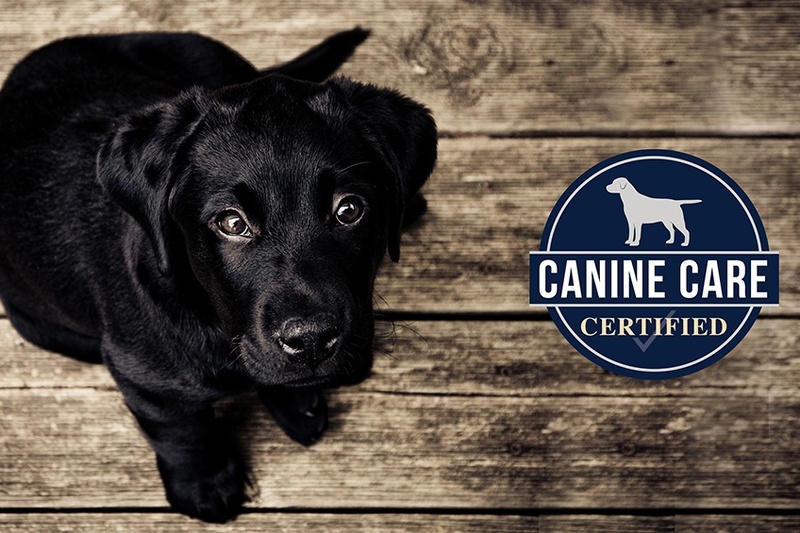 Learn more about the certification and what it really means for the future of the pet industry on their website, here.